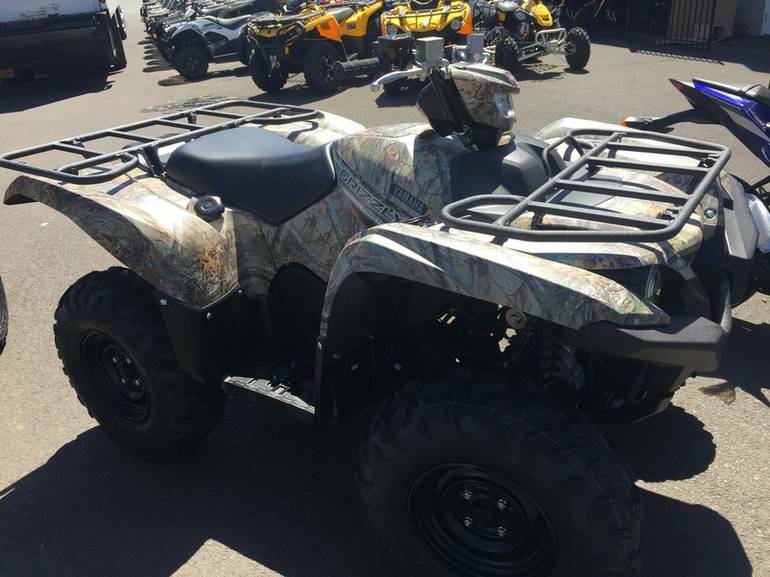 2016 Yamaha Grizzly EPS Realtree Xtra, NO added freight or set up! 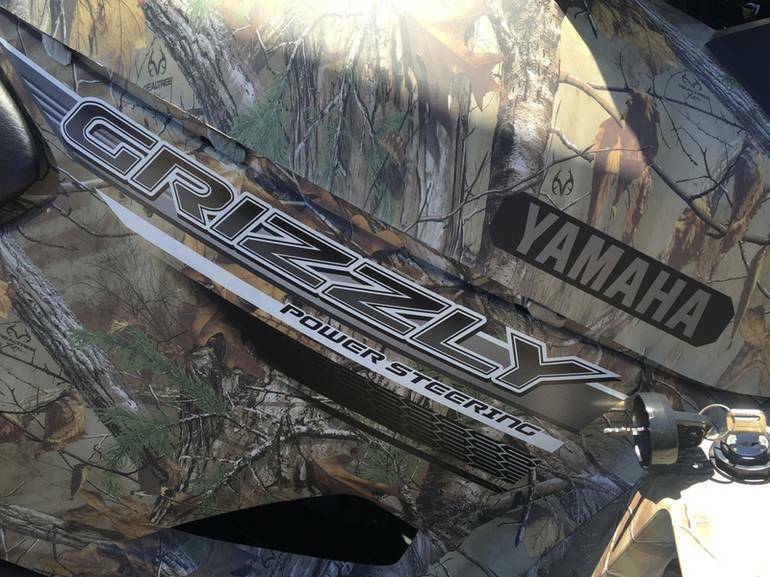 Call 503-769-8888 2016 Yamaha Grizzly EPS Realtree® Xtra® All-New Grizzly EPS: Bear Attack! There s no stopping the best selling big bore utility ATV in America it s all-new and better than ever. Built Real World Tough and Assembled in USA. Features May Include: High-Tech Engine Designed For Aggressive Trail Riding The 2016 Grizzly® has an all-new, more powerful DOHC, 708cc, 4-valve, fuel-injected engine with optimized torque, power delivery and engine character for aggressive recreational riding. Peak power is up six percent compared to the previous Grizzly 700, and torque rises nearly ten percent. Optimized, High-Performance Ultramatic® Transmission Grizzly s Ultramatic® transmission features a gated shifter, dual-range (Hi/Lo) drive plus reverse gear, and is the most advanced and durable CVT drive system available. New gear ratio and CVT settings are tuned for recreational riding on the Yamaha-exclusive Maxxis® 26-inch tires. An automatic centrifugal clutch maintains constant belt tension for reduced belt wear and a sprag clutch delivers natural all-wheel engine braking. Trail-Ready Chassis All-new chassis designed to take advantage of 26-inch, exclusively-designed Maxxis® tires, 5-way preload adjustable suspension and four-wheel disc brakes, creating optimum terrainability, comfort and handling especially on long, rough trails. Sharp New Styling The Grizzly s new styling features LED headlights with a handlebar-mounted halogen work light, an LED taillight, reshaped fenders, with three large storage compartments and new, larger-diameter front and rear racks with increased load capacity. Yamaha s Exclusive On-Command 4WD The three-position On-Command® 4WD system lets you switch between 2WD, limited-slip 4WD and a fully locked differential 4WD all with the simple push of a button. Override button allows engine to make maximum rpm in full diff. lock mode. Advanced Instrumentation New digital instrument panel boasts a multifunction LCD display with speedometer, odometer, dual tripmeter, hour meter, 4WD status, transmission position, clock and fuel gauge. Class-Leading Power Steering Yamaha s Electric Power Steering provides the industry s best balance of steering assist and positive feedback from the trail, providing maximum comfort and confidence. 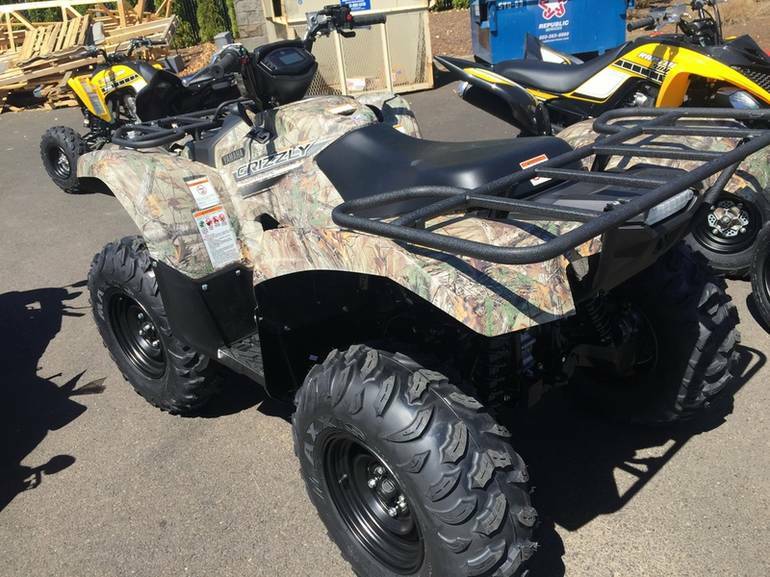 All Yamaha pictures are kind of Yamaha HD motorcycles picture was taken, including motor fuel gauge, engine, engine mounts, tires, fuel tank, the car handles, lights and so on, 2016 Yamaha Grizzly EPS Realtree Xtra full-screen viewing,2016 Yamaha Motorcycles today Price: $10,149 .